A modern version of a traditional full-grain leather backpacking boot that~s ideal for extended backpacking trips, long trekking, and all-season hiking. Hydrobloc full-grain leather upper with PU coated reinforcement. High-resistance treatment on the hardware. Combination GORE-TEX and MICROTEX lining for breathability and climate control. Zamberlan 3-Action Footbed is designed to respect the foot anatomy, reduce heel strike, follow the natural foot movement during walking, reduce muscle fatigue, and deliver total comfort and increased performance. Zamberlan Z.A.S. 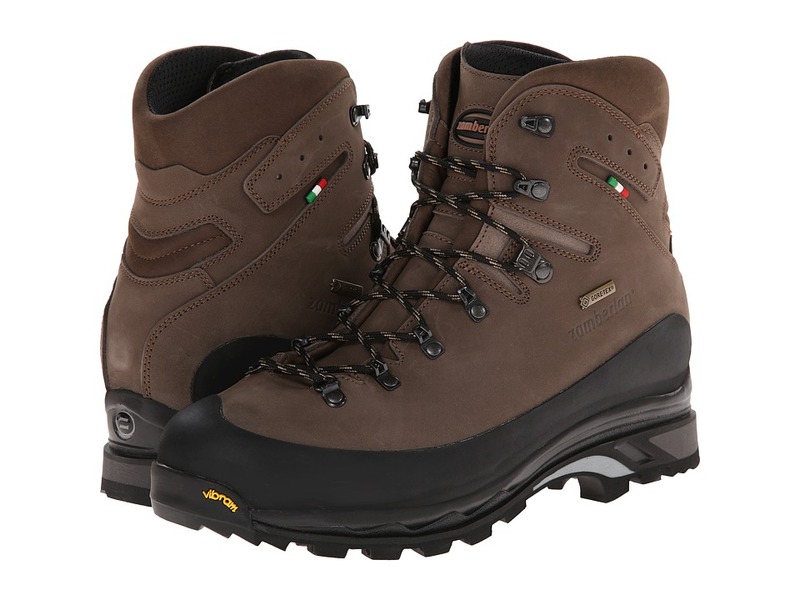 Air System is a special construction, design method, and choice of components to optimize comfort and make the boots extremely lightweight and breathable. Zamberlan Z.C.S. Cushioning System utilizes different types of shock absorbing materials with high cushioning and stabilizing effects. R.R.S. (Rubber Reinforcement System) is a special rubber reinforcement applied to the upper that ensures maximum abrasion resistance, enhances water repellence, and helps the boot to keep its shape during extended use. Thermoplastic rand on the toe and heel. Resoleable Zamberlan Vibram 3D outsole has been expressly developed for backpacking and hiking use with three specific components: an aggressive Vibram special rubber outsole with deep lugs, a low density PU midsole, and a TPU stabilizer. Made in Italy. Measurements: Heel Height: 1 3 4 in Weight: 1 lb 10 oz Circumference: 13 1 2 in Shaft: 5 1 2 in Platform Height: 1 in Product measurements were taken using size 44.5 (US Men~s 10), width D - Medium. Please note that measurements may vary by size. Weight of footwear is based on single item, not the pair. Made in Italy. 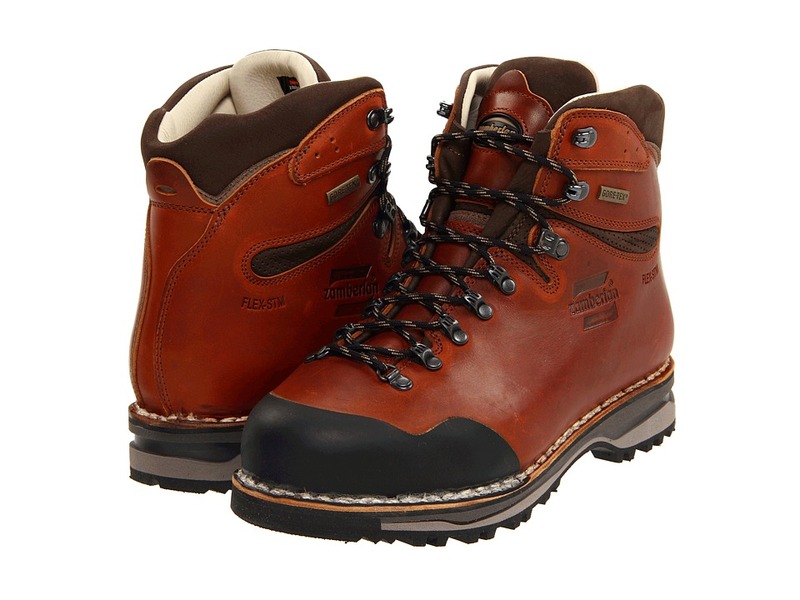 A modern version of a traditional full-grain leather backpacking boot that~s ideal for extended backpacking trips, long trekking, and all-season hiking. 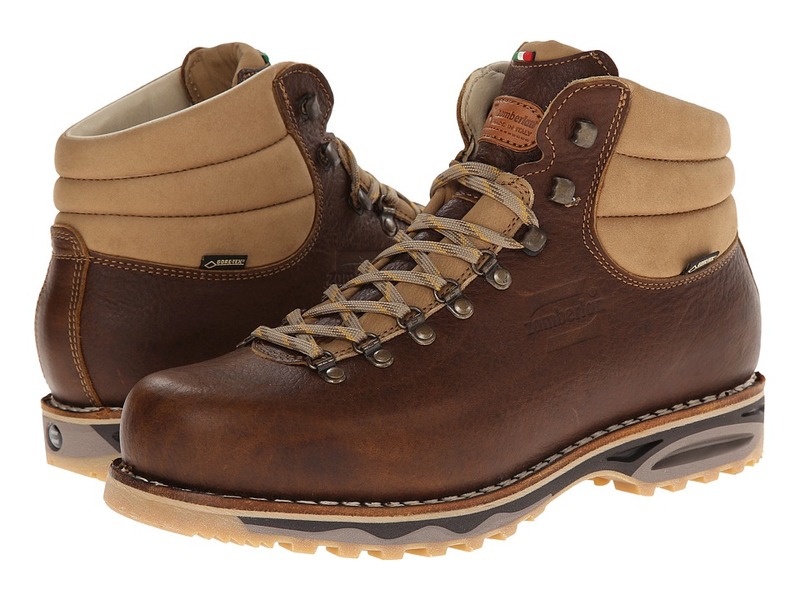 Hydrobloc full-grain leather upper with PU coated reinforcement High-resistance treatment on the hardware Combination GORE-TEX and MICROTEX lining for breathability and climate control. Zamberlan 3-Action Footbed is designed to respect the foot anatomy, reduce heel strike, follow the natural foot movement during walking, reduce muscle fatigue, and deliver total comfort and increased performance. Zamberlan Z.A.S. 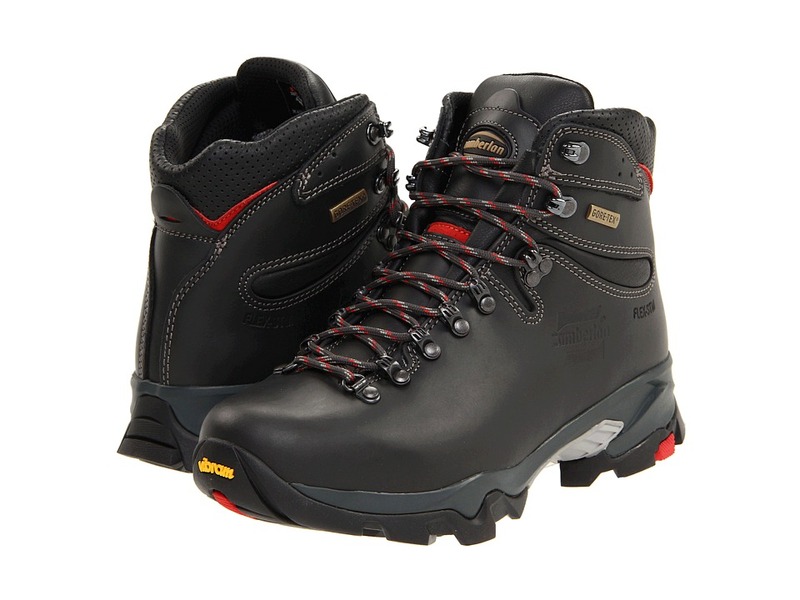 Air System is a special construction, design method, and choice of components to optimize comfort and make the boots extremely lightweight and breathable. Zamberlan Z.C.S. Cushioning System utilizes different types of shock absorbing materials with high cushioning and stabilizing effects. R.R.S. (Rubber Reinforcement System) is a special rubber reinforcement applied to the upper that ensures maximum abrasion resistance, enhances water repellence, and helps the boot to keep its shape during extended use. Thermoplastic rand on the toe and heel. Resoleable Zamberlan Vibram 3D outsole has been expressly developed for backpacking and hiking use with three specific components: an aggressive Vibram special rubber outsole with deep lugs, a low density PU midsole, and a TPU stabilizer. Measurements: Heel Height: 1 3 4 in Weight: 1 lb 7 oz Circumference: 13 1 2 in Shaft: 5 1 2 in Platform Height: 1 in Product measurements were taken using size 39 (US Women~s 7), width B - Medium. Please note that measurements may vary by size. Weight of footwear is based on single item, not the pair. Made for extended backpacking trips in tough conditions. 2.8 mm Hydrobloc&amp#174 waxed leather upper. Made in Italy. R.R.S. (Rubber Reinforcement System) is a special rubber reinforcement applied to the upper that ensures maximum abrasion resistance, enhances water repellence, and helps the boot to keep its shape during extended use. H.R.T. (High Resistance Treatment) for abrasion resistance. GORE-TEX&amp#174 lining. Zamberlan&amp#174 Z-Comfort footbed for added cushioning. Zamberlan&amp#174 Z.A.S. 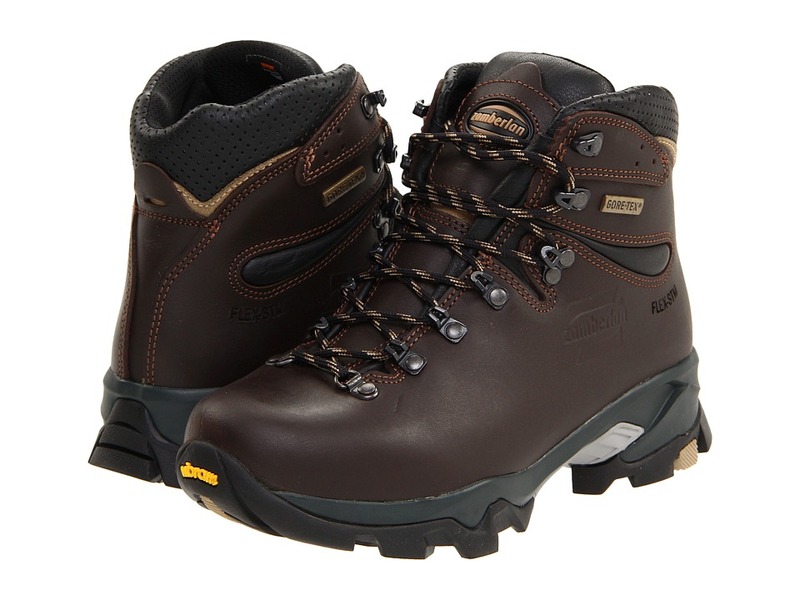 Air System is a special construction, design method, and choice of components to optimize comfort and make the boots extremely lightweight and breathable. Thermoplastic toe and heel for added support. Vibram&amp#174 NorTRAK rubber outsole for traction on any terrain. Measurements: Heel Height: 1 1 2 in Weight: 2 lbs 8 oz Circumference: 15 1 2 in Shaft: 8 in Product measurements were taken using size 45.5 (US Men~s 11), width D - Medium. Please note that measurements may vary by size. Weight of footwear is based on a single item, not a pair. The Zamberlan Guide GT RR boot is their toughest hiker boot style to date and is designed for use in harsh, off-trail conditions, with or without heavy loads. Hydroblock 2.8 mm Tuscan nubuck leather upper keeps out the wet elements. Features R.R.S. Rubber Reinforcement Treatment which is a special rubber reinforcement applied to the upper that ensures maximum abrasion resistance, enhances water repellence and helps the boot to keep its shape during extended use. RRS (rubber rand system) protects the foot and ankle as well as prevents the leather from deterioration caused by cracking, cuts and scratches. GORE-TEX membrane ensures breathable, waterproof protection. Hardware features H.R.T. (High Resistance Treatment) to help guard against wear and tear. Padded tongue and collar for added comfort. Z-Comfort Fit footbed offers cushioned underfoot support and comfort. Z.A.S. (Zamberlan Air System) midsole cushioning technology. Zamberlan Z-FLEX GT shank for better stability and flexibility. Zamberlan Vibram STAR TREK outsole with a dual-density PU wedge for both comfort and lightweight performance. Made in Italy. Measurements: Heel Height: 1 in Weight: 2 lbs 3 oz Shaft: 7 in Product measurements were taken using size 47 (US Men~s 12), width D - Medium. Please note that measurements may vary by size. Weight of footwear is based on a single item, not a pair. The lightweight construction and casual design of the Zamberlan Gardena NW GTX boot makes it ideal for hiking in mountainous terrain, the backcountry, and field or forest adventures. Hydrobloc full grain leather upper keeps out the wet elements. Norwegian welted constructed securely joins the durable outsole to the waxed leather upper. Features F.W.S. FOOT WRAPPING SYSTEM lacing for a secure fit. GORE-TEX Performance Comfort lining ensures breathable, waterproof protection. Hardware features H.R.T. (High Resistance Treatment). Padded tongue and collar for added comfort. Z-Natural leather footbed offers light underfoot cushioning. Z.A.S. (Zamberlan Air System) midsole cushioning technology. Zamberlan Modular Flex GT shank. Zamberlan Vibram NorWALK outsole with a dual-density PU wedge for both comfort and lightweight performance. Made in Italy. Measurements: Heel Height: 1 1 4 in Weight: 1 lb 14 oz Shaft: 5 in Product measurements were taken using size 47 (US Men~s 12), width D - Medium. Please note that measurements may vary by size. Weight of footwear is based on a single item, not a pair. 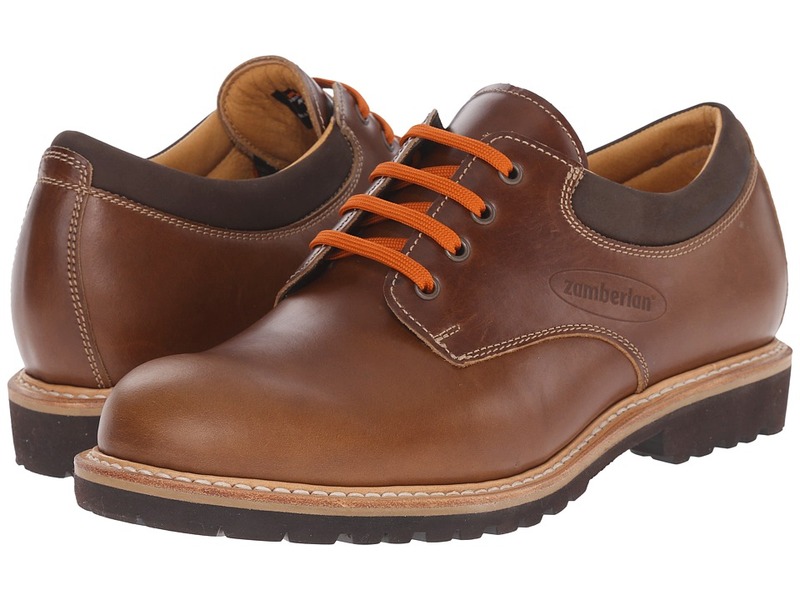 The rich leather and sturdy outsole of the Zamberlan Venice GW offers a modern upgrade to the classic walking shoe. Hydrobloc full grain waxed leather upper. Traditional lace-up design with sturdy metal eyelets. Zamberlan Goodyear welt construction. Soft calf leather lining for a comfortable next-to-skin feel. Lightly cushioned leather insole for all-day comfort. Vibram V-Lite outsole offers a lightweight yet durable construction. Made in Italy. Measurements: Weight: 1 lb 15 oz Product measurements were taken using size 47 (US Men~s 12), width D - Medium. Please note that measurements may vary by size. Weight of footwear is based on a single item, not a pair. Leopard GTX boot from Zamberlan offers a great fit, excellent comfort, and reliable performance so you stay steady on your feel while out in the great outdoors. Ideal for early-season backcountry bow hunting and backpacking on moderate to rough off-trail and mountain terrain. Hydrobloc nubuck leather upper with unique camouflage blend to enhance your entire hunting kit. 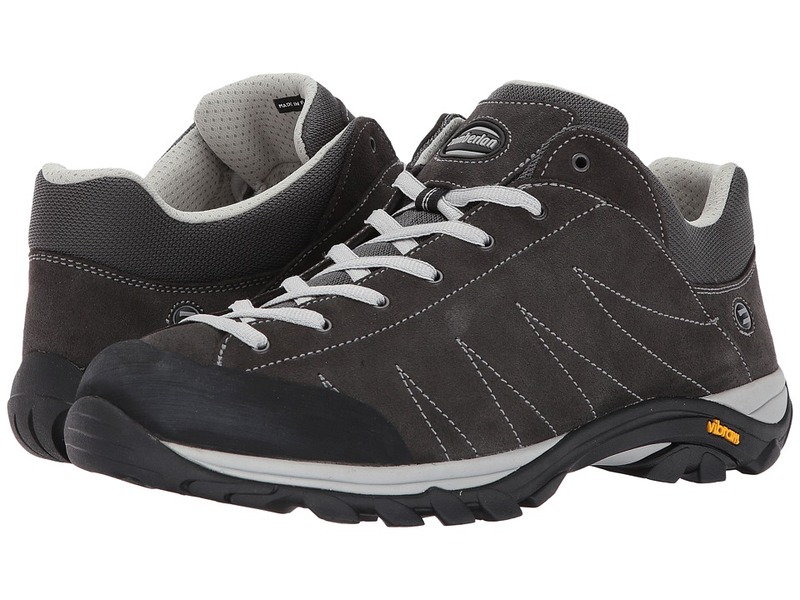 GORE-TEX Performance Comfort waterproof, breathable membrane keeps feet protected from outside elements. H.R.T. (High-Resistance Treatment) on the hardware. Thermoplastic rand on the toe and heel. Leather lining at the cuff. Zamberlan memory foam provides underfoot cushioned comfort and support. 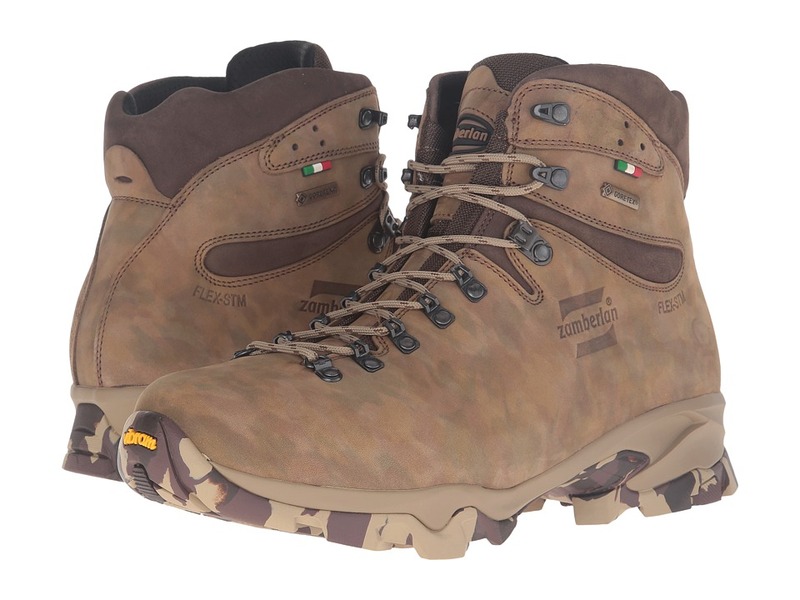 Zamberlan Air System is a special construction, design method, and choice of components to optimize comfort and make the boots extremely lightweight and breathable. Zamberlan modular flex GT shank for excellent support and stability. Resoleable Zamberlan Vibram 3D outsole has been expressly developed for backpacking and hiking use with three specific components: an aggressive Vibram special rubber outsole with deep lugs, a low density PU midsole, and a TPU stabilizer. Made in Italy. Measurements: Weight: 1 lb 14 oz Shaft: 7 1 2 in Product measurements were taken using size 45.5 (US Men~s 11), width E - Wide. Please note that measurements may vary by size. Weight of footwear is based on a single item, not a pair. The Zamberlan Hike Lite RR is a comfortably lightweight yet grippy shoe that is ideal for everyday use both on and off the trail. Hydrobloc suede leather upper has a soft yet durable construction that protects against rocks and debris. Elasticized mesh collar wraps the ankle for greater comfort and fit. To-the-toe lacing system with H.R.T. ((High-Resistance Treatment) eyelets for a secure fit that wraps the foot in a technical cocoon. Polyester mesh lining for added breathability. 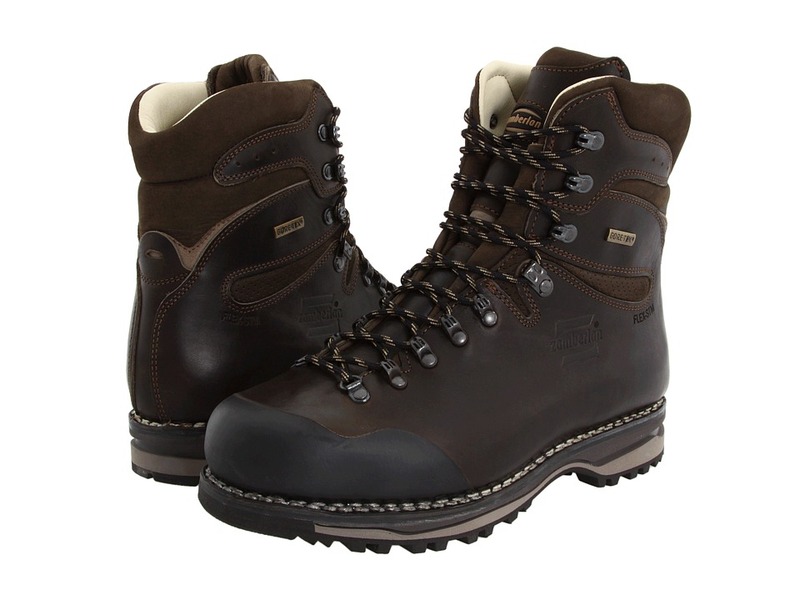 Rubber toe-and-heel rand offers additional protection to the leather upper and the foot no matter the terrain. Cemented welt construction for long-lasting durability and flexibility. Nylon 3MM insole is an anatomic footbed for superior underfoot comfort and support. Dual-density EVA midsole ensures cushioning and shock absorption while minimizing weight and maintaining a technical feel for the ground. Z.A.S. (Zamberlan Air System) midsole cushioning technology. TPU heel counters add stability for technical maneuvers. ZTRL Zamberlan Generous Fit last allows for a slightly wider and generous fit. Vibram Pillow outsole maximizes grip on both trails and hard surfaces and features a climbing zone on the sole that allows for strong toe-off, while the wide tread is grippy and comfortable. Imported. Measurements: Weight: 1 lb 1 oz Product measurements were taken using size 47 (US Men~s 12), width D - Medium. Please note that measurements may vary by size. Weight of footwear is based on a single item, not a pair.